Kiowa Creek Community Church | "Where Real People Meet A Real God"
This is the new website for Kiowa Creek Community Church. It provides useful information to persons wishing to know more about our church and for members of our congregation. We extend to all a warm and hearty Colorado welcome! 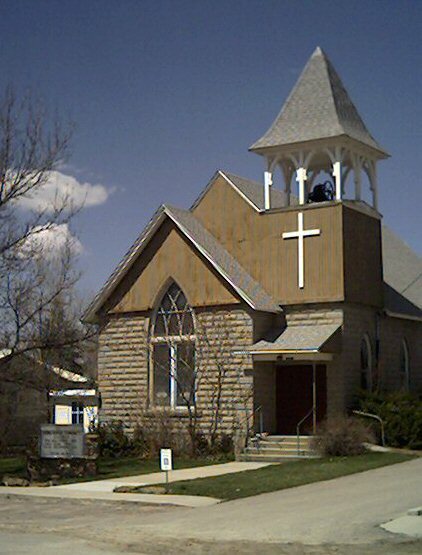 Pastor Jim Emig and the entire congregation invite you to come to our traditional Sunday service at 9:00 a.m. at the historic Kiowa Chapel. (Please see the “Directions” page under “About Us”.) If you can’t make the worship service this week, you can still listen to some of the pastor’s sermons, read some of his articles, or interact with his blog.